We love Mexican food at this house. Mexican restaurants are our go to for family dinners out, and as much as I hate to admit it, we love the drive thru at places like Taco Bell. We try to only go as a real, not a routine outing. So we love it when we find incredibly cool ladies like Parrish who are whiz-kids in the kitchen and can cultivate that same drive-thru taste for us to create at home. Parrish is an awesome work-at-home mom, and blogger of Life With The Crust Cut Off. She knows how hard it is to wrangle kids, keep a house going, and get dinner ready every night. But she is ready to go with excellent smile recipes like this one. Not only is it tasty, it is so incredibly fast to make. We tested it on a night when we had dance class and Gymboree and it worked out fabulously. So we know it can be an excellent addition to your “fast-food” arsenal. Be sure to check out Life With The Crust Cut Off for more incredibly easy and delicious recipes for the future. Head on over to Life With The Crust Cut Off for some easy step-by-steps pictures and the full tutorial. Bon appetit! 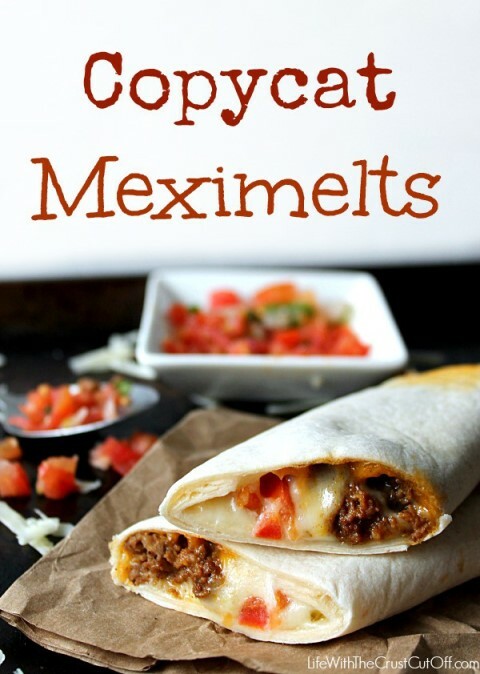 This entry was posted in General and tagged easy meals, easy weeknight meals, life with the crust cut off, meximelts, the boys store, weeknight dinners, weeknight meals on June 16, 2015 by Lacy.